Almonds in a Delicious Candy Shell. Celebrate with these longtime Sconza favorites. Considered a good luck charm at special events, they also brighten up the most average day. Keep a dish handy at all times. 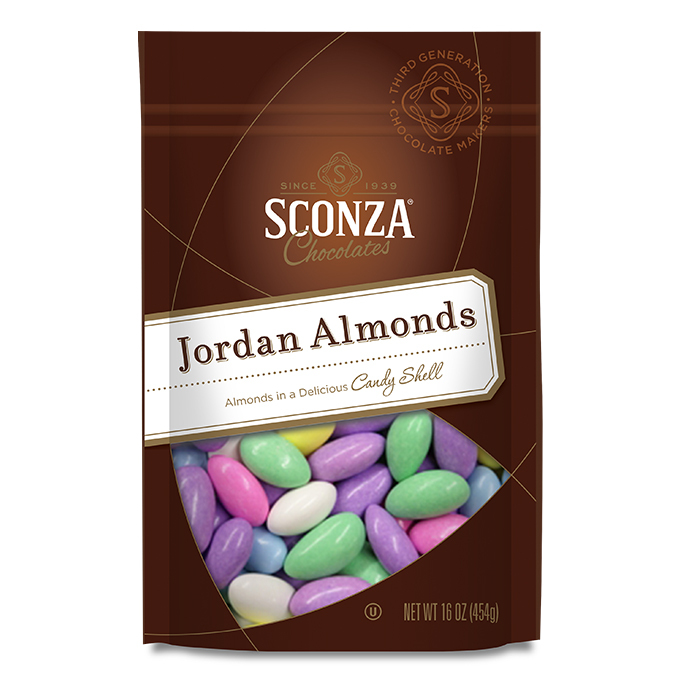 Almonds in a Delicious Candy Shell packed in a 16oz Bag. INGREDIENTS: Sugar, almonds, less than 2 percent of corn syrup, tapioca dextrin, artificial flavor, modified starch, titanium dioxide; red 3, blue 2 lake, blue 1 lake, yellow 5 lake, confectioners glaze (with beeswax and carnauba wax).